The increase in the fleets of vehicles (cars, trucks, and buses) is creating a growing need for mechanics. Advances in technology require that mechanics have superior skills. As these trends are expected to continue, the number of mechanics and repairers of motor vehicles, trucks and buses is expected to increase significantly over the next few years. In recent years, the number of mechanics and repairers of motor vehicles, trucks and buses has increased significantly. This increase is mainly due to the strong growth of the car fleet and the aging of the population. As a result, there is a shortage of skilled workers, particularly those trained in computer and vehicle electronics, which are highly sought after. These trends indicate that the trade of automobile mechanic offers favorable employment prospects for the coming years. An automobile mechanic works in the motor vehicle maintenance industry and a mechanic’s job is to maintain, repair or replace mechanical, electrical or electronic components of different types of motor vehicles such as passenger vehicles, pick-up trucks and trucks generally not exceeding five tons in weight in order to restore them to good working order. An automobile mechanic maintains and repairs the engine cooling system, the heating system and the air conditioning system. An automobile mechanic maintains and repairs ignition and supply systems and emission control. As a generalist mechanic, you will be responsible for maintaining, inspecting, diagnosing defects and repairing various components or parts of motor vehicles. You can also conduct pre-purchase checks and provide customer advice on regular and periodic vehicle maintenance. 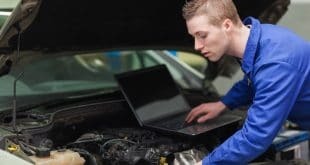 The mechanic must know how to deal with breakdowns with the computer and electronic tools. The clamp and the screwdriver are no longer sufficient. The work of the mechanic is more complex because the cars are more and more sophisticated. An automobile mechanic examines the vehicle, determines the nature and causes of defects or necessary repairs. A mechanic performs periodic maintenance such as oil change, lubrication, and focus. Automotive, truck and bus mechanics inspect mechanical, electrical and electronic components of motor vehicles, make a diagnosis to locate defects, repair and maintain automobiles, buses, light trucks and heavy trucks. 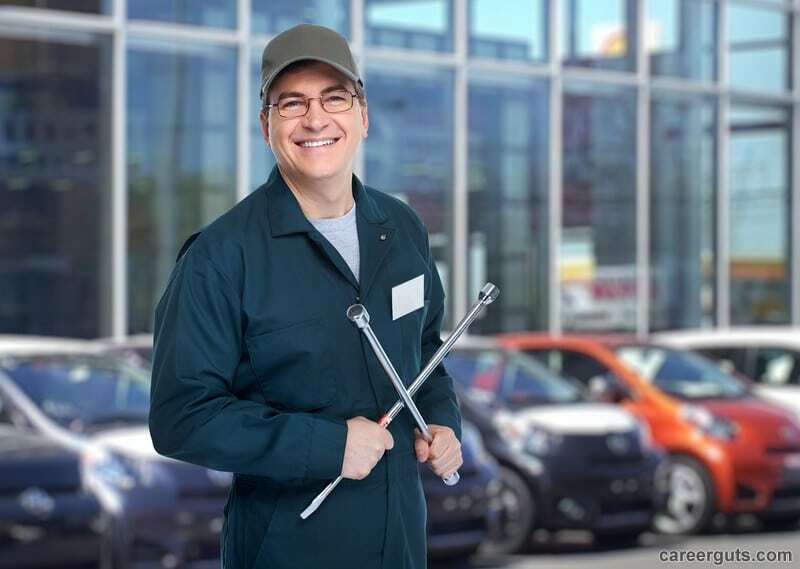 They work at automobile dealerships, service stations and garages, specialty garages, transportation companies, and shops with automotive service and repair shops. A mechanic checks and maintains the battery, charging system, and starter system. A mechanic maintains and repairs the clutch and the powertrain. A mechanic repairs differential, control bridge components, and transmission half shafts. A mechanic repairs and adjusts suspension, steering, and wheels. A mechanic checks maintains and repairs braking systems. A mechanic repairs exhaust systems. Installs, repairs and adjusts body parts and accessories. A mechanic performs testing of repaired systems and adjusts them to manufacturer’s specifications. A mechanic discusses with the customer the operations carried out, the general condition of the vehicle and the repairs to be made in the future. A mechanic conducts a work report. A mechanic cleans his workstation. A mechanic repairs circuits, electrical and electronic accessories or makes installations. A mechanic takes note of the work to be done. A mechanic repairs the engine. A mechanic refers to manuals and guidelines for technical information required to perform the work. A mechanic observes the operation of the running engine, testing the vehicle on the road and checks the components and circuits of the vehicles using computerized diagnostic apparatus and other apparatus to detect and isolate defects. A mechanic checks orders and discusses with the supervisor the work to be done. A mechanic discusses with the customer the operations carried out, the general condition of the vehicle and the repairs to be made in the future. A mechanic adjusts, repairs or replaces, by means of hand tools or other special equipment, defective parts or components of various vehicle systems, such as the fuel system, braking system, steering and suspension mechanisms, exhaust system and emission control system, air conditioning and control systems, and electrical and electronic systems. A mechanic chooses the methods for the use of mechanisms. A mechanic conducts feasibility, design, operation and performance studies of mechanisms and systems. A mechanic analyzes the stresses (forces, temperature, vibrations, pressures) undergone by mechanisms, machines, and installations. A mechanic implements and manages quality programs. A mechanic investigates the causes of mechanical failures or unscheduled maintenance problems. A mechanic evaluates processes, facilities, and products to ensure compliance with safety standards. A mechanic may recommend improvements or modifications to increase efficiency and reduce costs. A mechanic may also collect data and writes technical reports. A mechanic may also conduct feasibility studies and estimates. A mechanic performs measurements, plots, calculations, technical drawings, studies, and tests. A mechanic estimates cost and time estimates, design specifications and other machinery and systems documentation. A mechanic conducts studies on the feasibility, design, operation, and performance of mechanisms, devices and systems. Next Auto Mechanic Training: What Kind of Training is Required to Become a Mechanic?